An UnConference is a flexible and co-creative process using extraordinary meeting technologies to enable all participants to participate with enthusiasm and joy. Learning, communicating and sharing ideas happen in a dynamic and participatory way on eye level. Complex problems can be explored, relationships promoted and new forms of cooperation developed. Through the self-organizing structure, the group actively contributes to the creation of the program, supported by experienced spaceholders. 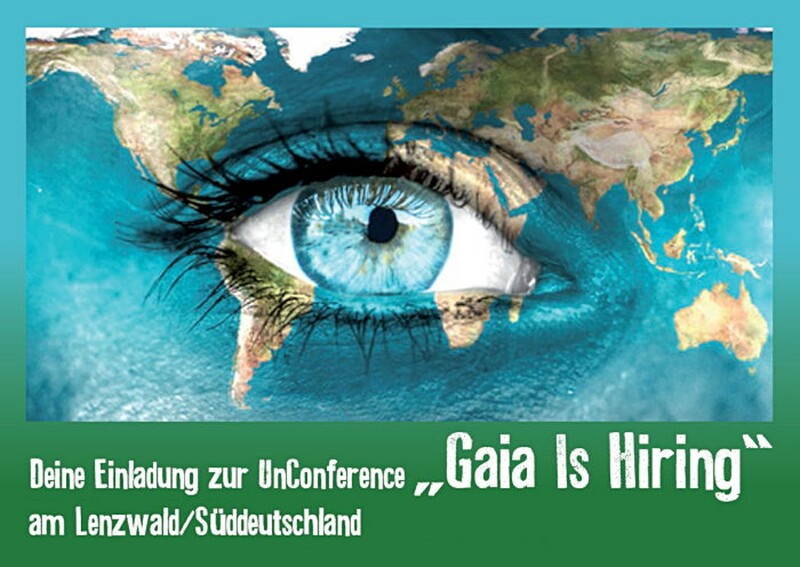 But GAIA UnConference goes even beyond. Since we can only guess what a world would look like in which we work in harmony with the planet, we have to take steps into the unknown. The spaceholders of the GAIA UnConference are trained to pave a way into the unknown, which is so wide and safe that the whole group can go there. They create a space for emergence – so that things can arise which in the sense of evolution are ready to come up. We support each other’s further unfolding. This is pure joy happening during a four-day High-Level-Fun research festival. After experimenting with different price models, we decided to take a new approach regarding the participation fee for the UnConference and apply the principles of shared economy. A minimum registration fee of 150 € will be charged, which will be due with your registration. With that you reserve your seat at the UnConference. In addition, you can choose your own individual contribution. This is due during the UnConference. We will present the sum of expenses transparently, as well an average fee per person, so that everyone gets a sense of what their appropriate contribution might be. We trust in the solidarity of the community of the participants. We will provide delicious and healthy food with a catering solution according to the number of participants. The costs for full board will be about 30,00 Euro for adults and 15,00 Euro for kids per day. We will tell you more as soon as we know the number of participants. The number of participants is limited due to the size of the location! After your registration you will receive a registration confirmation. Shortly before the event, we will send you a detailed logistic letter with further details about the UnConference, the accommodation, food and directions. For logistical questions please contact Sonia Willaredt at 08630-9868649 or puls-der-erde@t-online.de and for content-related questions contact Patrizia Patz at 0171-9230220 or pat@gaiaishiring.org. We look forward to meeting you or seeing you in person.